Community groups across Co. Tyrone are celebrating after being awarded National Lottery funding. Campsie Over 50’s Retirement Club is amongst the 85 groups across Northern Ireland who are sharing £748,809 from The National Lottery Community Fund’s Awards for All programme. The community group, based in the Campsie area of Omagh, is using a £6,954 grant to deliver run a programme of activities for the older people in the area, including dances, craft classes and cultural trips. Greencastle Community Association, based in Greencastle is using a grant of £10,000 to install a new boiler system and security cameras and provide a keyless entry system to the community gym, to support the group’s work with the local community. Trillick St Macartan’s GAC, based in Co Tyrone, is using a grant of £10,000 to refurbish the kitchen and replace stairs in their club to make their space more useable for community events. 1st Moy Boys Brigade, based in Moy outside Dungannon, is using a grant of £9,013 to run activities for young men and boys in the local area to improve their skills and confidence. Activities include trips away, team building activities, and sports. CTS Limited, based in Coalisland, are using a grant of £9,576 to buy IT equipment including computers, software and printers to run an intergenerational IT project. The project will bring people together from different age groups to build new skills and strengthen relationships. Friends of St Brigids Primary School in Brocagh near Coalisland is using the £9,994 grant to upgrade computer equipment in the school to support pupils and the local community to improve their IT skills. Milltown Area Community Association, based in Dungannon, is using a grant of £3,570 to run a range of activities for the community including dance classes, a children’s Christmas party, history talks, craft classes and historical outings. O4O Cookstown Ltd is using a grant of £8,934 to make improvements to their kitchen in their new building to make it more suitable for their work supporting older people in the area. St John’s Masonic Lodge No. 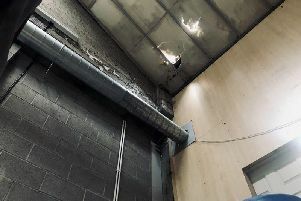 230, based in Aughnacloy, is using the £10,000 grant to insulate and refurbish the internal walls of the hall to make the space more suitable for community events and activities. Also receiving funding are Parents, Teachers and Friends Association. The group, based in Dungannon, is using the £10,000 grant to create a school garden which will be used to support children’s eco learning and horticultural learning for parents and the local community. Kate Beggs, The National Lottery Community Fund Northern Ireland Director said: “I am delighted to announce these grants under our new name, which we hope will help players to better understand the difference they make when they buy a ticket.